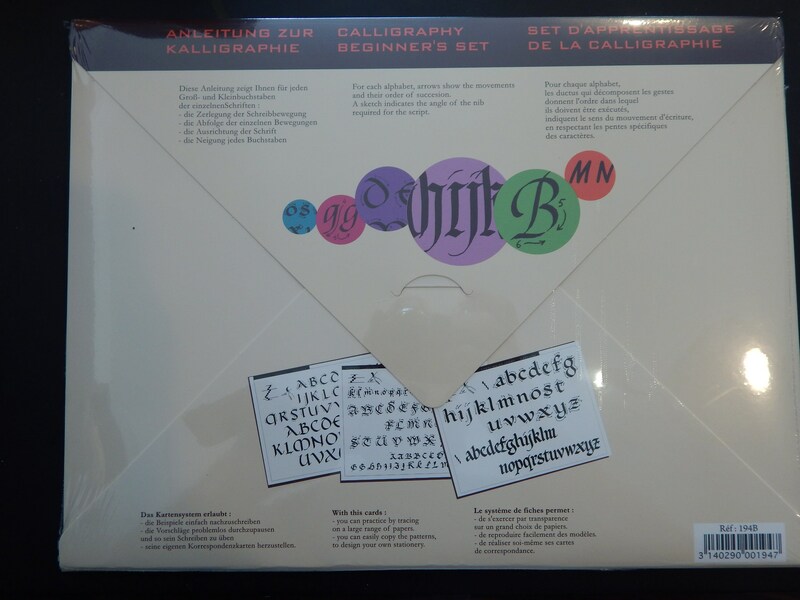 Brause Introduction to Calligraphy Lettering Guide Practice Set. 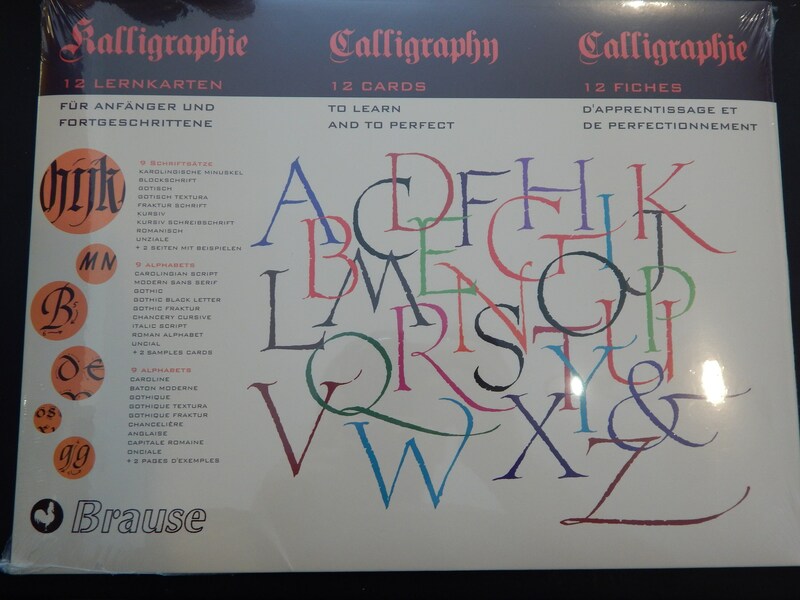 9 Styles, 12 Practice Cards, Includes Italic Script, Unical, Gothic & More. 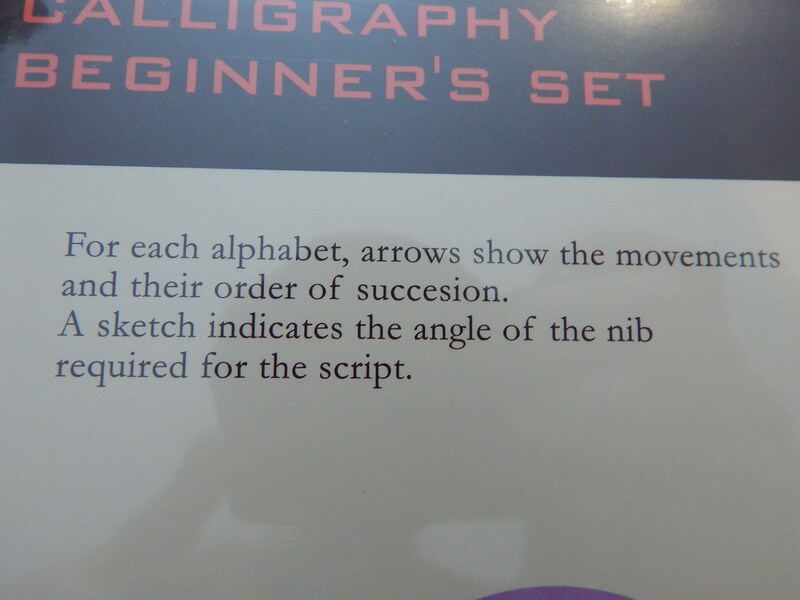 Introduction to Calligraphy Lettering. Nine classic lettering styles displayed on practice cards. Includes Carolingian Script, Modern San Serif, Gothic, Gothic Black Letter, Gothic Fraktur, Chancery Cursive, Italic Script, Roman Alphabet, and Uncial. 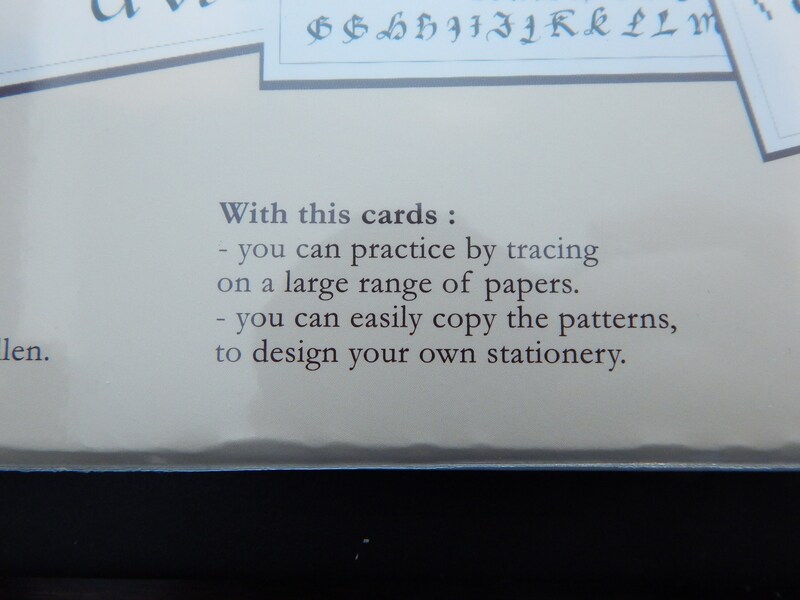 Nine classic lettering styles displayed on practice cards. 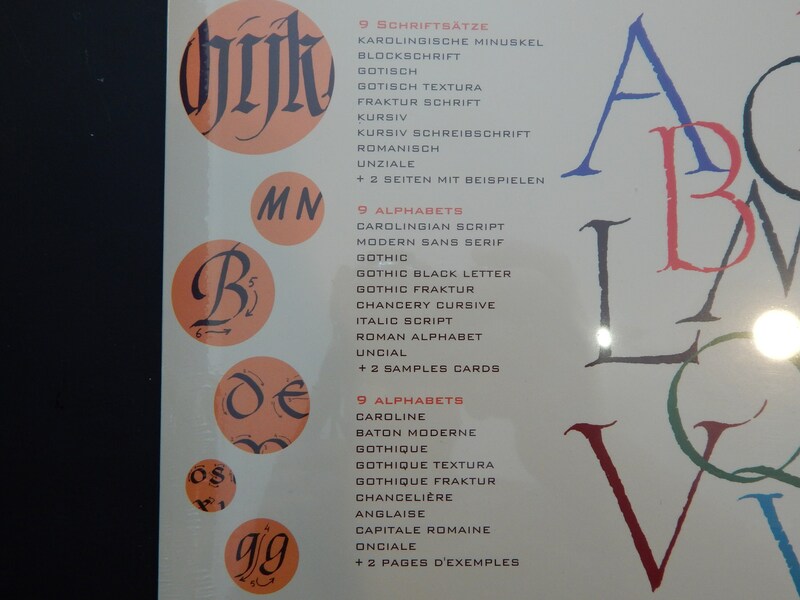 Includes Carolingian Script, Modern San Serif, Gothic, Gothic Black Letter, Gothic Fraktur, Chancery Cursive, Italic Script, Roman Alphabet, and Uncial. This products will be shipped via the USPS priority mail due to size and weight.